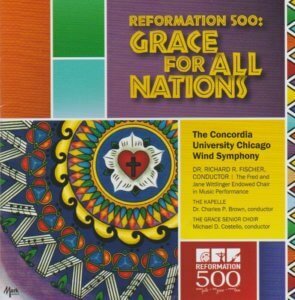 “This recording project is exciting and worthwhile, allowing members of the Wind Symphony to provice members of the church, as well as elementary, secondary and college band conductors with outstanding perfomances of much previously unrecordec sacred works for winds. For band conductors and their students throughout the world, it provides a model for the performance of these works. For members of the church, it provides an ongoing music ministry of sacred works that are frequently inspired by familiar hymn tunes. Compositions by Jay Bocook, Johann de Meij, Eric Whitacre, John Zdechlik, Stephen M. Lounsbrough, Christopher Nelson and William R. Brusick have contributed to this CD. Worth listening to and interesting.